Print & redeem a complimentary Big Pong Women fragrance sample. 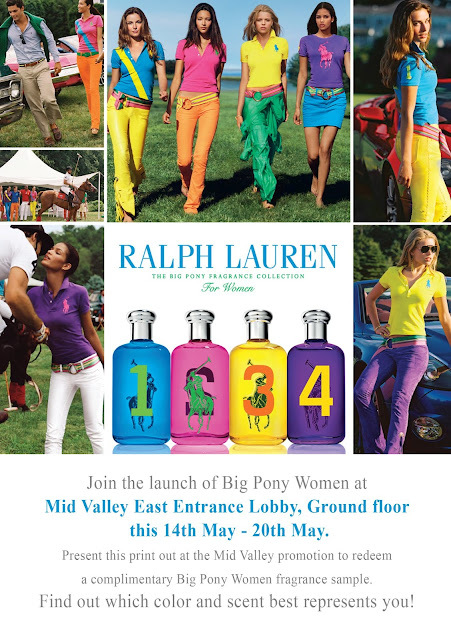 Join Metrojaya for the launch of Ralph Lauren Big Pony Women! Find out which color and scent best represents you!